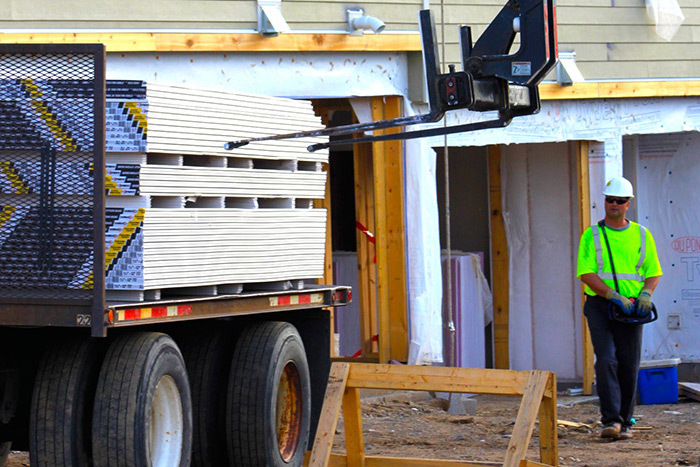 Residential Building Materials Delivered – King of Prussia / Philadelphia, PA.
Steven Kempf Building Materials carries a wide selection of construction supplies for residential and commercial construction customers in the Philadelphia area. 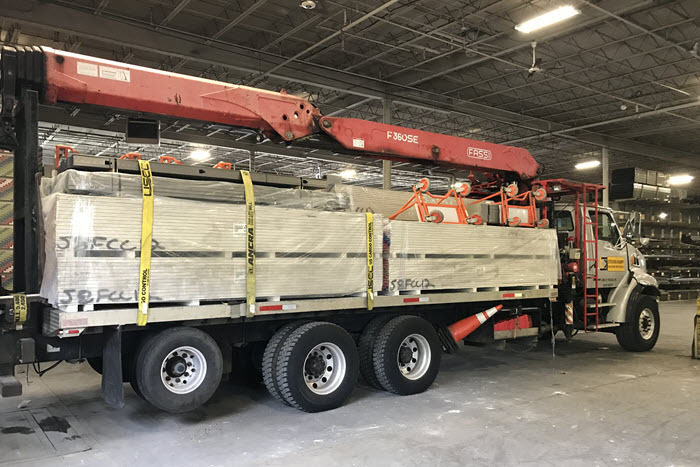 We offer both on-time jobsite delivery or will-call pickup for all your construction supplies from our yard locations in King of Prussia and Philadelphia. Get deliveries for new construction and home remodeling projects. As a part of our long-term commitment to excellent customer service, Steven Kemp is dedicated to providing efficient, accurate, and timely home deliveries. 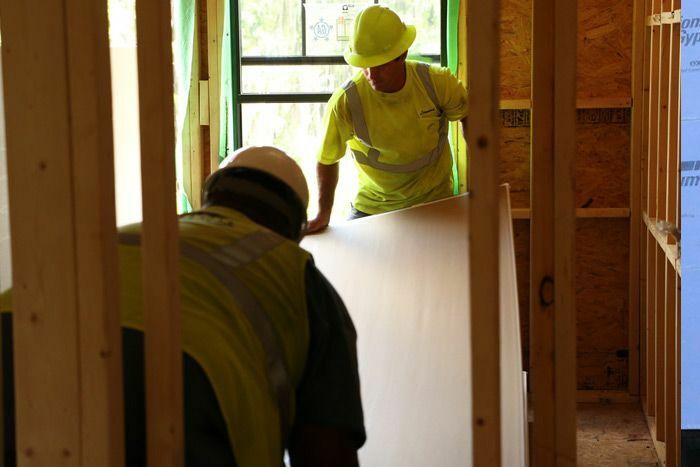 We make every effort to protect your materials from environmental elements and other sources of damage, and we pledge to leave your jobsite in the same condition as when we arrived. Steven Kempf’s extensive fleet of trucks make your delivery quick and easy. We also offer walk up, walk down, or hand up service for a small additional charge. Steven Kempf can accommodate your schedule with rapid delivery when needed, as well as before- and after-hours deliveries. We are dedicated to going the extra mile in order to provide excellent customer service. As another option, customers can always call in orders ahead of time for pick up at our yard locations in King of Prussia and Philadelphia.